Added 12/8/16 - NEWS ALERT - Nurture Smart Crib Mobile was just awarded a *Design Patent*! Also they are offering all Mom To Grandma Readers a 5% discount if you use the code smartmobile5 upon check-out! We had the opportunity to review The Nurture Smart Crib Mobile from Playability. My son and daughter in law are expecting their first baby soon. For the past few months I have been looking for a mobile for the crib. Not just any mobile, THE mobile. It is for my grandson and I wanted as close to perfection as possible. It was a happy surprise when the company Playability offered to send us their brand new patent pending Nurture Smart Crib Mobile. 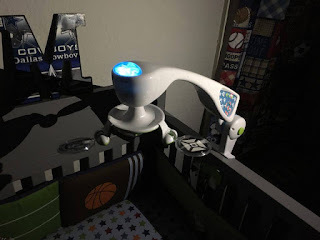 The Nurture Smart Crib mobile is not like any crib mobile I have ever seen, it has this unique design and was developed with input from child life specialists and psychologists. It is intended for babies who are 0-5 months. This mobile includes exceptional safety, child development and comfort features. It has been designed for both home and clinical use. 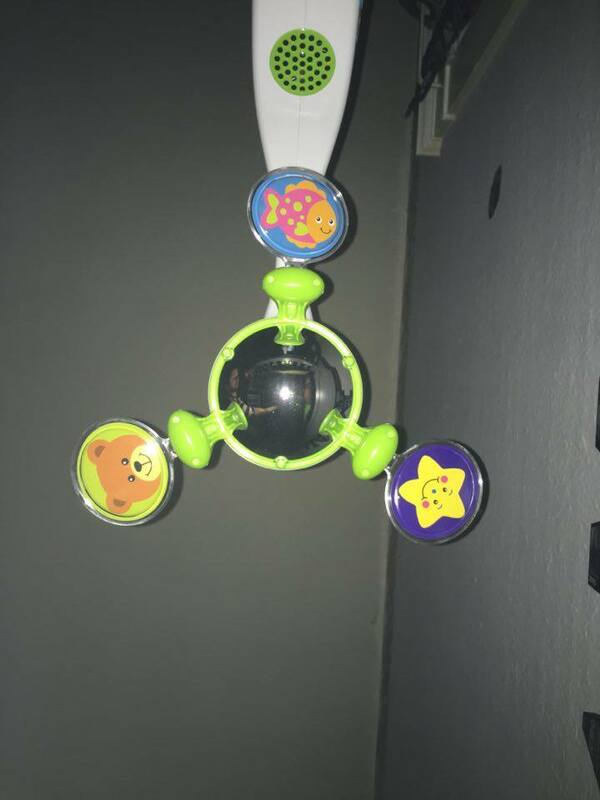 This crib mobile is the most advanced ever created. 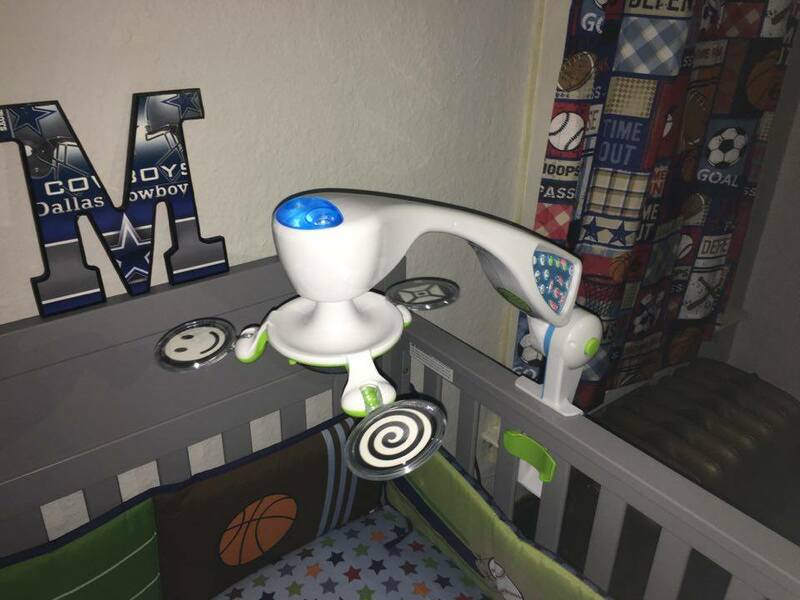 The unique design of the crib mobile has a domed mirror and three image displays that can be flipped to reveal different images. On one side beautiful colored images and on the other side there are black and white images. This crib mobile is one big piece, its very simple to mount onto the crib and operate. There are no removable parts on the mobile, it was designed with safety as a priority. 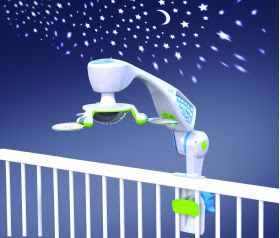 The adjustable arm can be adjusted to match the baby's developing visual range, and articulates to allow easy access to the baby in the crib. As long as the crib rails do not exceed 2 1/4 inches the crib mobile was designed to fit a variety of cribs. The features of the mobile promote sensory interaction, safety and comfort to the baby. From the duel sided visual panels to the large dome mirror and night light with celestial images. There are 5 stimulating auditory sounds that are comforting and calming to the baby. Sounds like white noise, waves and a heartbeat, It also plays lullabies and classical music. There are 3 different sound settings and motions. The mobiles sound, light and motion functions can operate independently or combined. 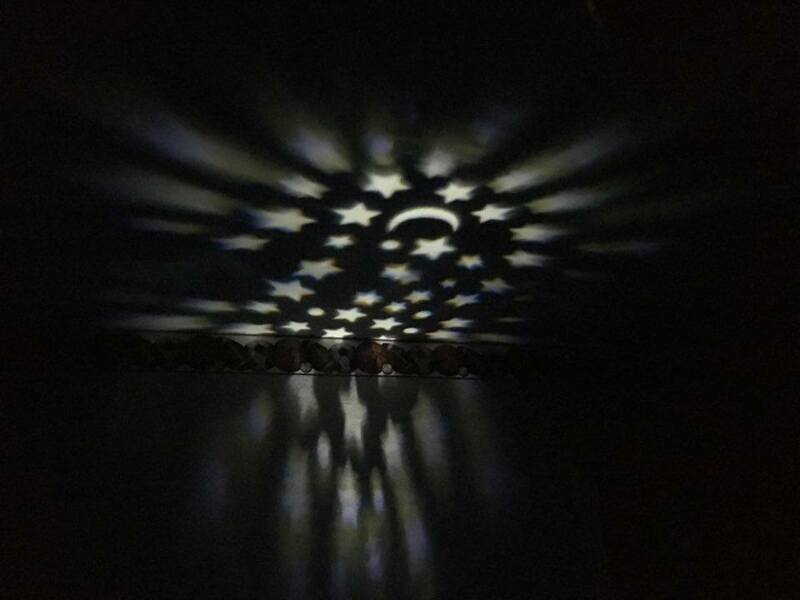 There is a night light star projection. There are also four convenient timer settings. This is probably one of my favorite feature on this crib mobile. The timer can be set on the mobile to play any of the functions from 15-60 minutes in 15 minute intervals. The crib mobile is completely washable and built to stand disinfectants. There are no soft parts that will collect bacteria or filth. The speakers on the mobile are waterproof for easy cleaning. The washable button panel is not accessible to the baby. It was designed to be wipeable and stand up to a washing without damaging it. The Nurture Smart Crib Mobile is the most unique crib mobile I have ever come across. If your pregnant, attending a baby shower, or you have a baby somewhere in your life to buy for this coming holiday Nurture Smart Crib Mobile is a superb idea. Playability toys is a specialized company that designs and manufactures products for home and clinical use. Their products range from unique toys created to meet the needs of children and adults with special needs to their new Nature Smart line designed to enrich the lives of children while they are in the hospital. For over 15 years their products have been bringing joy and the gift of play to thousands. You can connect with Playability Toys via: Facebook , @playabilitytoys , Pinterest , You Tube and Playability Toys Website . This really does sound like a crib mobile that would keep babies attentive. I agree I have never seen anything like it or I would have purchased it when I needed a baby gift. Wish they had things like this for my kiddos. Think baby would benefit very much from this. Wow! I would love one of these for my sons crib! They sound so neat.